PLAINFIELD NORTH HIGH SCHOOL IS GOING GOLD TO HELP KIDS FIGHTING CANCER! 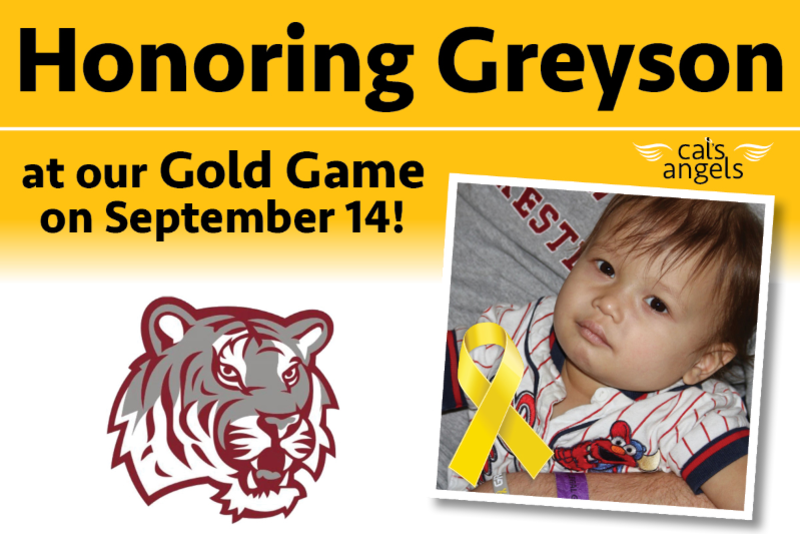 Students & athletes will be wearing GOLD apparel for the entire month of September and at their home game on 9/14! 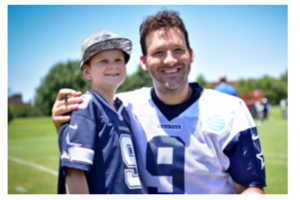 Greyson was diagnosed with Acute Myeloid Leukemia (AML) on August 25, 2017. The treatment plan is aggressive which had Greyson go through 5 rounds of inpatient chemotherapy treatment. Greyson’s last chemo round was in early January. Unfortunately, in February we were told that his Leukemia was back in his spine and brain. 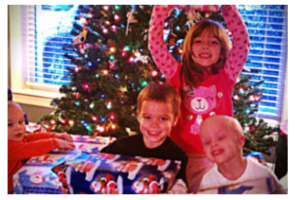 Greyson then started another 2 rounds of chemo, along with several spinal chemo injections. We began our next steps to prepare for his stem cell transplant in March, and a brain MRI was needed prior to transplant. Once again, we faced another setback as the MRI showed Greyson’s brain chloroma had grown significantly. We were admitted to the ICU that same day of the MRI because the chemo was not penetrating the blood/brain barrier and the swelling of the chloromas in his brain was causing pressure build up. Steroids were then given to reduce the swelling, and soon after we started 14 days of brain and spinal radiation to get attempt clearing his AML and get Greyson to transplant. Upon completion of radiation, an additional brain MRI was done and results showed significant improvement and good enough to move forward with the stem cell transplant. Greyson’s stem cell team admitted him on May 3rd to start another round of chemo to wipe out his cells in order to administer the stem cell transplant on May 10, 2018. 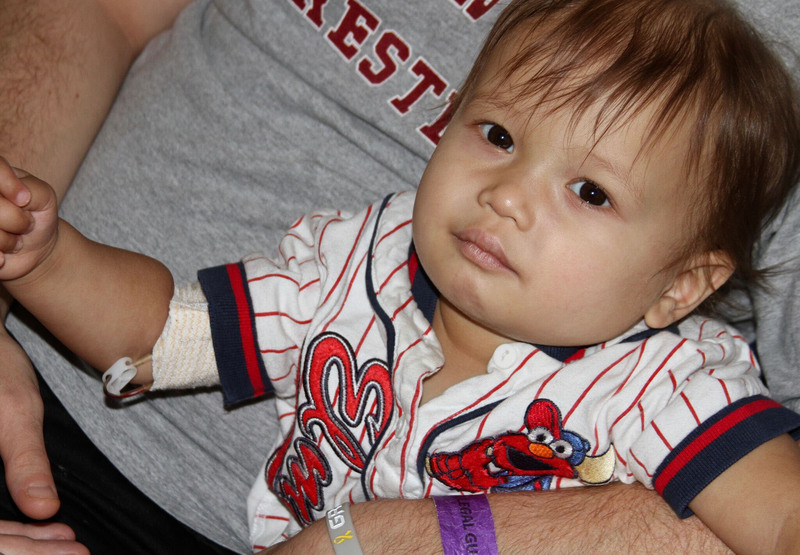 Greyson’s transplant took very quickly and by day 10 donor cells started to show up on daily blood draws. Greyson then dealt with a multitude of side effects from the transplant such as radiation recall and engraftment syndrome that caused him to be intubated for 4 days followed by ICU psychosis which last 6 days. After all of this, Greyson showed us how strong he is by getting a little bit better each day. 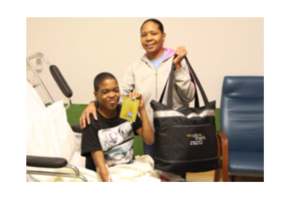 Then after 49 days in the hospital, we received the news that he was being discharged to the Ronald McDonald House (RMH). This was such great news as we were able to be together as a family again because throughout this process Greyson was not able to be around his big sister Mila. 10 days after the discharge to RMH, we were then told we could bring Greyson home. Greyson was so happy to finally be back home after 59 days away. Currently, Greyson is having weekly visits to Lurie’s for blood labs, IV medicine transfusions, and physical and occupational therapy. Greyson continues to be a happy 2-year-old boy that enjoys playing with his big sister every chance he gets.